You can locate any community or group that you are a member of easily. 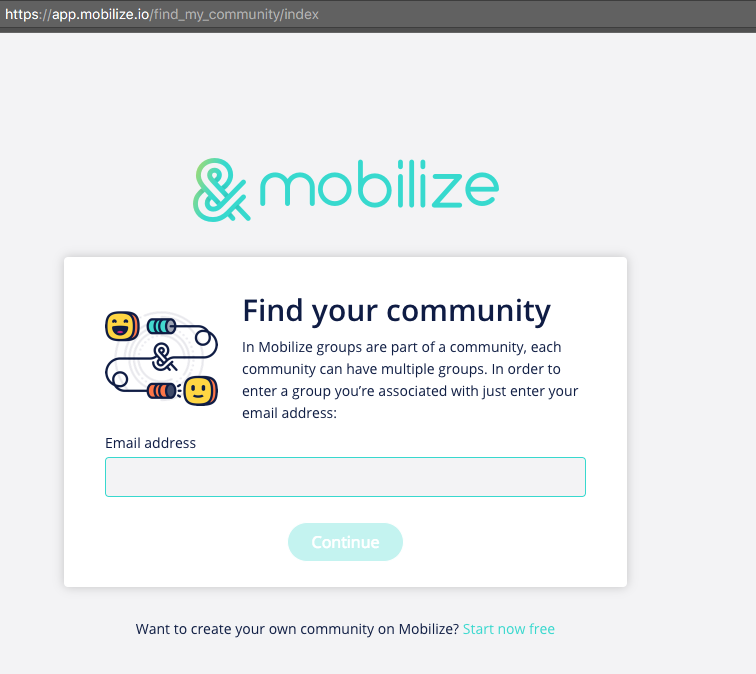 Use the Find Your Community tool on https://app.mobilize.io/find_my_community/index. You can then enter your email address (or your member's email address) on this page to prompt an email to that email address, which will help you log into Mobilize. You'll then receive an email to that address with a list of communities that you're a member of. From there, you can login, fill out your profile, participate in the community, or leave the community if you choose.